Did you hear that one about the Emirati with a heart condition? I say “heart condition” because he came 7,099 miles from Abu Dhabi to visit the Cleveland Clinic — and they’re famous for treating heart conditions. But it sounds like he tried to stay at an Airbnb. Unfortunately, it sounds like the owners of the apartment hadn’t factored for their neighbors and, after he showed up in person, they had to give him some story about how they couldn’t rent the place to him after all, because they’d gotten a better subsequent offer from someone attending the Republican National Convention. At which point there was nothing left in Cleveland Proper, so the Emirati had to go twenty miles out of town to seek accommodations. But they weren’t prepared for someone who didn’t look like everyone they knew either. Like the Hotel Lobby Clerk. She got the fright of her life and ran for the bathroom to text her “relatives” — from behind a locked door. Somewhere in there, the teenage mutant ninja turtles got mentioned. The “relatives” then called the police and, sure enough, as everyone had been watching the same TV, suddenly all the walls were screaming “Danger Will Robinson” and they knew, everybody knew, they had a potential Next You Know What on their hands. Tada! Cleveland’s Burb Police piled into Emergency Mode and raced to the scene of the potential crime to throw the poor Emirati, and his possible heart condition, to the ground. Watch the bodycam if you want (I didn’t) but, word is, they roughed him up but good — even took off his shoes(? ), cuffed him, broke his phone and talked dirty to him. The Good News is that, if it is a heart condition, it’s probably not all that serious. Even though he got rushed to the hospital after the ordeal, that was probably just a safety precaution. UAE authorities then issued a memorandum to all citizens traveling to the United States, France or Belgium — warning them not to try and dress the way they do at home. Be safe: buy a new wardrobe. Emiratis traveling to the United States, France or Belgium should probably also avoid speaking their native language in public — and just point to wherever in their phrase book when they want to make a communication. Whatever you do, they would have been wise to add, don’t even think of calling home from a hotel lobby. It could have ended quite a bit more tragically. So everyone was lucky. It’s the Fourth of July, so let’s review a few key facts: The First Amendment of the United States Constitution states that it’s against the law for the law to pass a law impeding the free exercise of religion or freedom of speech. It’s the Fourth Amendment that’s supposed to protect people against unreasonable searches and seizures of either self or property by government officials. The Second Amendment’s the one that stipulates that everybody has the right to bear arms. 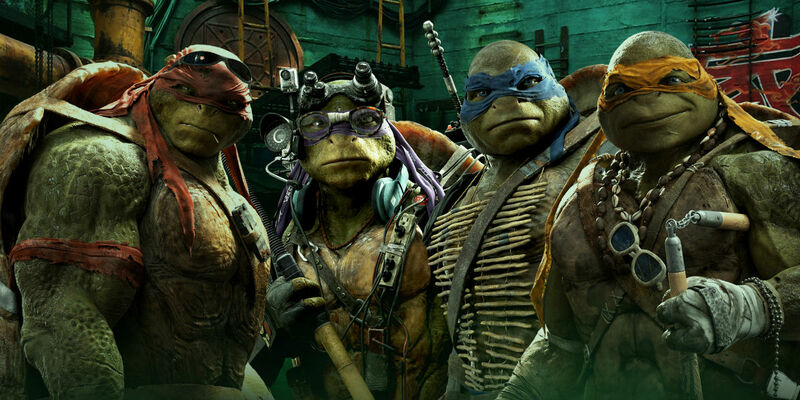 Whatever else might be the case, the guy definitely does not look ANYTHING like a teenage mutant ninja turtle. Good to know: if you don’t have a TV, don’t tell anyone – or they’ll think you’re a “pretentious a**hole“. Meanwhile, if you read the New York Times, you can rest assured that the Bill & Melinda Gates foundation is “preparing us for the next pandemic outbreak”. No wonder Americans are having so much trouble taking Climate Change seriously. Do we think the NYT would have mentioned it, if the UK’s Independent hadn’t? Supercool Kintsugi-esque image of Cleveland. According to a recent analysis done at the University of California, San Diego, the amount of information consumed by the American public in 2008 was 3.6 zettabytes, or the equivalent of a seven-foot-high stack of novels covering the entire United States, including Alaska. Much of the content of the news programs, documentaries, films, emails, and advertisements we are exposed to every day is alarming, frightening, or problematic. Fear sells news, entertainment, and many other products, from insurance policies to household cleaners to medications, because fearful information is hard for the brain to ignore. The average asking price for an Airbnb rental in Cleveland during RNC2016 is $899 per night. Yeesh, I’ll bet you there was some money laundering under the hood.